Dimpled bulbs of LED light framed in antique bronze are elevated at different lengths for added depth and movement throughout the piece. The aged look inspired by antique pieces highlights a natural beauty and evokes a rustic feel. The dimpled surface of the bulbs creates a crystal-like effect that reflects the most beautiful light. 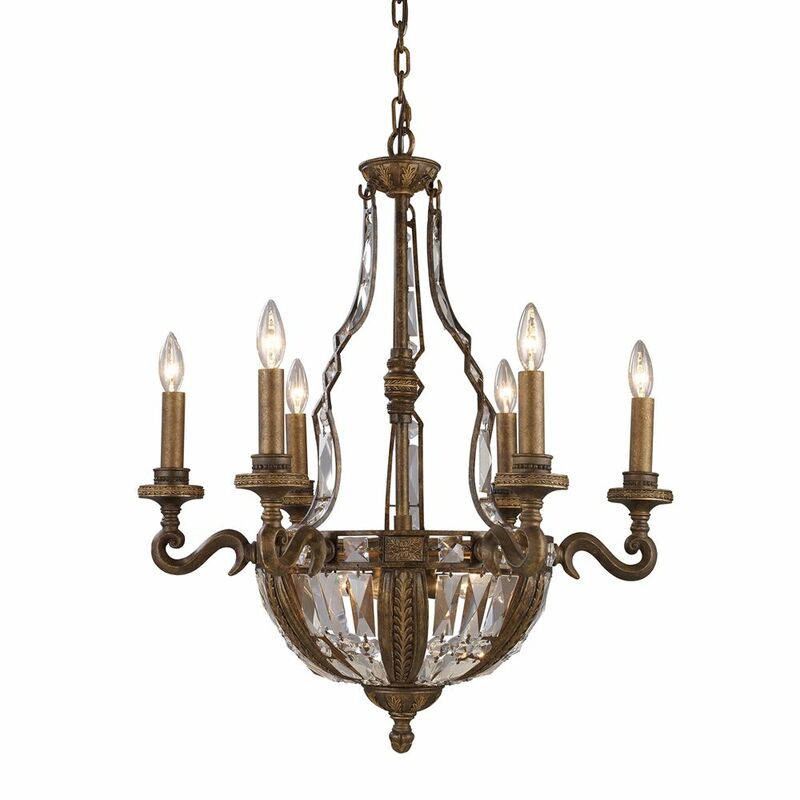 10- Light Ceiling Mount Antique Brass Chandelier This Collection Reflects Formal Elegance And Upscale Design. Delicate Leaf Motifs And Detailed Ironwork Compliment The Distinct Crystal Pieces. The Antique Bronze Finish With Gold Highlights Accent The Intricate Detail And Classic Appeal Of The Collection.